The current depreciation of the Ghana cedi currency has raised anxiety among importers and the business community. This has generated public discussion lately for which many are calling on the government to arrest further depreciation of the cedi. 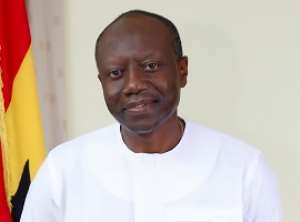 The finance ministry of Ghana, has, therefore, been compelled to announce measures targeted at stabilising the cedi and halt its further depreciation. One of such measures as announced by the finance minister is the injection of some 800 million dollars into the economy. This approach, an outspoken former Deputy Minister of Trade and former MP Murtala Mohammed Ibrahim, has described as a lazy man's approach in dealing with the issue. Comrade Mohammed Murtala Ibrahim said the approach is just a temporary measure and that within two to three months the problem will resurface again. Hon. Murtala Ibrahim made these comments on radio gold news analysis programme- Alhaji and Alhaji on Saturday. “If you don’t deal with the basic fundamentals affecting imports and export, you can inject millions of dollars into the economy, the problem will simply not go away” the deputy minister alluded. Hon. Murtala said under the previous regime under his Excellency John Dramani Mahama measures were taken to reduce the importation of some essential commodities such as rice, sugar, and pharmaceuticals. For example, the former deputy minister said rice importation had reduced significantly up to 40% with a corresponding increased in the local production of rice close to 60%. Again, the former deputy minister has alluded to the fact that Ghana was heavily importing pharmaceuticals and sugars Which was exerting so much pressure on the cedi, hence the depreciation of the cedi, so as part of permanent measure to arrest the cedi, the then government gave support to pharmaceuticals companies in the country to expand and able to manufacture and produce more drugs locally than importing. This he said have contributed in stabilising the local currency under the NDC administration. If the NPP government had ensured that the sugar factory is up and running our country will not have to spend so much in importing sugar thereby putting undue pressure on the cedi. The former MP said. Hon Murtala Ibrahim concluded by calling on Ghanaians not to throw their hands in despair and that they have an option to put the country back on track by voting out the NPP government since they do not have practical solutions in dealing with the many challenges that the Ghanaian people are confronted with. He called on the finance minister to come out with a practical and more sustainable way of stabilising the cedi.